On March 20, a new edition of Le Jour du Macaron will be celebrated, a gourmet day invented by Pierre Hermé that will once again show its support in the fight against cystic fibrosis. With the motto “A donation, a macaron”, users can try a macaron of their choice in exchange for a donation in more than 100 Relais Desserts establishments. The profits will go back to the Vaincre la Mucoviscidose Association, which last year collected 50,000 euros. 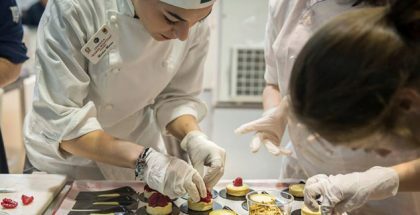 The involvement of pastry chefs is increasing. To give some examples, in all Pierre Hermé outlets you can try up to 20 delicious flavors, among which is Rose, Jasmine and Fresh Mint from the Infinitely collection, or Jardin de l’Atlas, new perfumes of lemon, honey and orange flower flavor. Vincent Guerlais will give the chance to taste the winner of the Amateur Macaroon Contest of Nantes, which he created, by making the lemon-basil-blackcurrant center. Some will even offer macaron courses, such as Lenôtre or Reynald Petit in Vernon. And others like Bellanger have planned activities with mothers and children both on the street and at Le Mans Hospital. Hundreds of volunteers from the Vaincre La Mucoviscidose Association will be mobilized for the occasion, as well as the majority of Relais members who will work in some 175 boutiques in France, Belgium, Luxembourg, Japan, and Calgary.